Nagarkot is a popular tourist resort of Nepal. 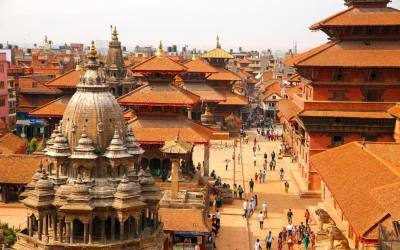 It is situated 32 Km east of Kathmandu at an altitude of 2,175 m above sea level. The panorama of the major peaks of the eastern Nepal Himalayan including Sagarmanatha (Mt. Everest) can be seen form here. Nagarkot is famous for sunrise and sunset viewing. This ancient town is stituated 30m east of Kathmandu of Kathamndu on the side of the Arniko Rajmarga (Kathmandu- Kodari Highway). The newar town of Dhulikhel offers a traditional atmosphere along with spectacular views.Once an important link in the ancient trade route to Tibet. 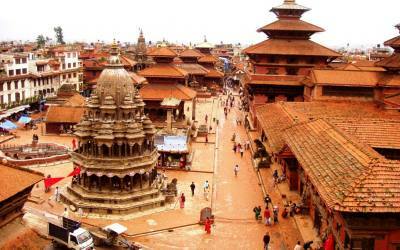 Dhulikhel has a glorious past which can be seen in the lovely buildings and intricate wood carvings in the shop-lined streets and temples. Pleasant climate is big attraction at Dhulikhel. Located 29km northwest of kathmandu city, the fabulous holiday area of Kakani features attractions ranging form beautiful alpine scenery to the magnificent Himalayan panoram particulary of the Ganesh Himal massif. Other peaks that can be closely seen from Kakani are: Gaurishankar (8,163), Himalchuli (7,893), Annapurna (8,091), and several other peaks. 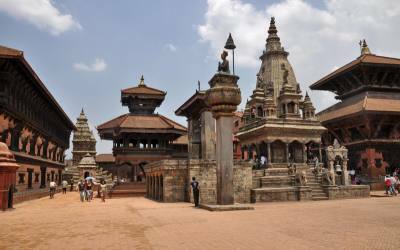 Gorkha is the birthplace of King Pritivi Narayan Shah the great, the founder of modern Nepal. Situated on a hill overlooking the snowy peaks of the Himalaya, is a beautiful old place known as Gorkha Durbar. There are two attractive temples of Goraknath and Gorakhkali inside the palace precinct.. Gorkha can be reached in about six hours by road from Kathmandu and four hour from Pokhara A side trip to Manakamana temple on the way to Gorkha is very enjoyable and interesting. It is a small village nestled on the soutern slopes of a ridge at 1700m above sea level. The height and aspect ensure a comfortable climate regardless of any season of the year. 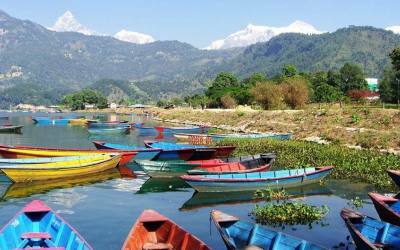 Pokhara, about 20km to the northeast, is the nearest major center. The travel time for the average group to reach the village from Pokhara is about 5hours, an experience in itself. The village which is inhabited entirely by the Gurung people is small and compact with neat and clean trails connecting the mainly stone and slate built houses. 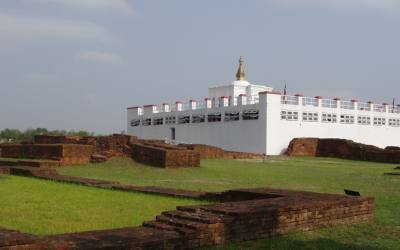 Sirubari offers attractive valley views stretching away towards the Terai. A short walk above the village gives visitors a spectacular views of Himalaya. The living culture and tradition of the Gurungs blended with their rich hospitality make for an unforgettable experience. 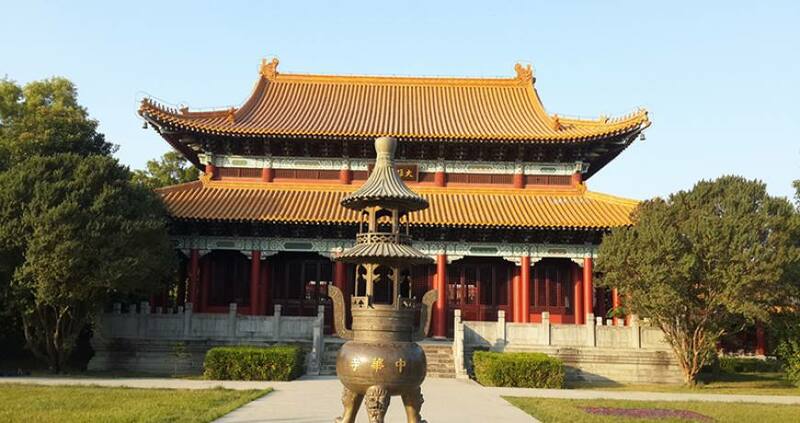 It is situated at an altitude of 1343m above the sea level. Tansen is the most popular summer resort in western Nepal. It has the most extensive views of the country’s chief attraction, in a clear day from Dhaulagiri range to Gaurishanker can be seen. It will take about 7 hours drive from Pokhara and 11 hours from Kathmandu.